After an early-morning 12-mile march back to the gray stone academic complex with 1,200 new cadets she led through the rigors of basic training at “Beast Barracks,” the 20-year-old international history major from Fairfax, Virginia, assumed duties as first captain of the 4,400-member Corps of Cadets. That’s the highest position in the cadet chain of command at West Point. “It’s humbling, but also exciting as I step into this new opportunity to lead the corps to greatness with my teammates with me,” a beaming Askew, still in camouflage fatigues from her march, told reporters. “Simone truly exemplifies our values of Duty, Honor, Country,” said Brig. Gen. Steven W. Gilland, commandant of cadets. Gen. Vincent K. Brooks, commander of U.S. Forces Korea, was West Point’s first African-American first captain in 1979. The first female in that role, in 1989, was Col. Kristin Baker, now commander of the Joint Intelligence Operations Center Europe, Analytic Center. Askew’s appointment comes a year after a photo of 16 graduating black female cadets raising their fists drew criticism from online commentators who accused them of supporting the Black Lives Matter movement. Supporters said they were making a gesture of solidarity and accomplishment as graduation drew near. West Point investigated and determined they hadn’t violated any Army rules. 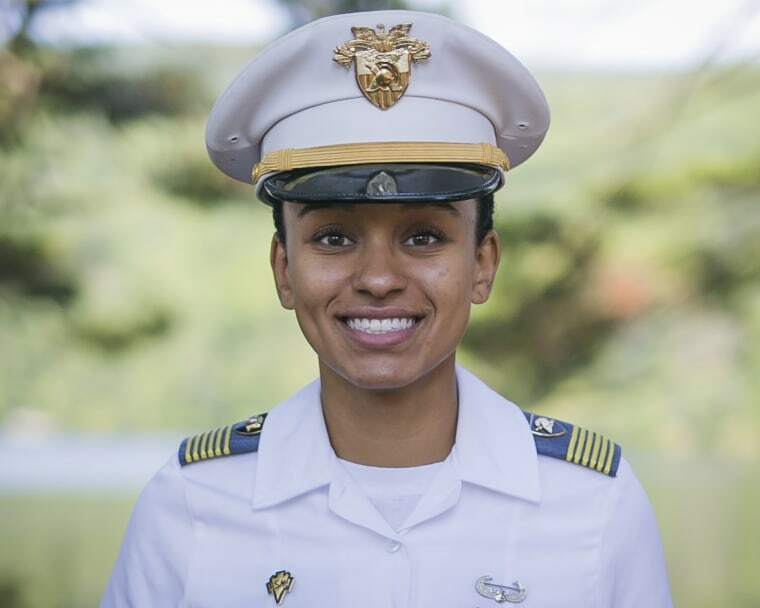 Locke, a West Point volunteer who has been a mentor to Askew and other cadets, said she’ll hold her up as a role model for girls when she holds workshops on leadership and academics at schools in inner cities around the country.